at Viaduct Theatre, 3111 N. Western Ave. 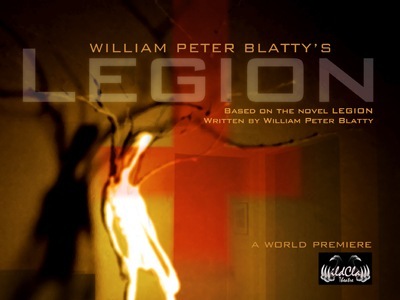 The story of Legion, the sequel to “The Exorcist”, has taken many forms: first as a 1983 novel by William Peter Blatty, then as a film (The Exorcist III) and now it is a play, adapted by Wildclaw’s Artistic Director Charley Sherman, and presented by WildClaw Theatre. 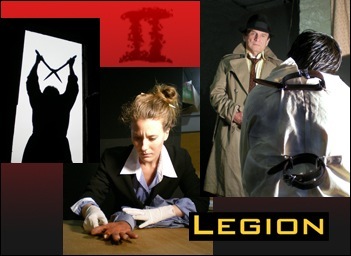 Legion takes it’s name from a biblical quote that Blatty uses at the beginning of the novel The Exorcist: “Now when [Jesus] stepped ashore, there met him a certain man who for a long time was possessed by a devil … And Jesus asked him, saying, ‘What is thy name?’ and he said, Legion … “ Given the references to Mafia murders, the Vietnam war and the Holocaust that Blatty references after, it makes one wonder what exactly this Legion is. Is it’s the darkness and rage of humanity that makes this Satanic literary duo so terrifying? It’s not simply the devil. In contemporary society of different beliefs, cultures and mindsets, a biblical tale of demonic possession is not enough to strike fear into a universal audience. But you don’t have to believe in the Christian bible to think Legion is scary. The main character, Lt. Kinderman is Jewish. His consistent references to kibitzes and Matzo are enough to make one a Meshugina, but the incorporating of a religion other than Christianity reminds the audience that this is a story about man, not God. Len Bajenski’s very endearing yet, (there is no other way to say this) Colombo-esque performance as the detective is more familiar than derivative and is a nice counter-balance to the heavy, daunting subject matter. Despite it’s serious side, Legion never forgets to be entertaining, especially with the over the top special effects skillfully done by Fraser Coffeen. The audience gets to witness the horrific crime scenes with Lt. Kinderman, bodies and all. Of course, the gore does not look real but there is a fun, campy theatricality to the poor victims in Mr. Blatty’s dark tale. 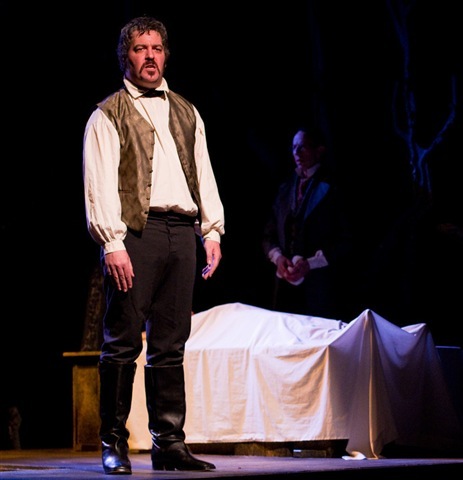 The adaptation takes great care to loyally mirror the book on stage, which can lead to information overload. Trying to cram the density of a novel into a two-act play is too much: too many characters, too many ideas, and too many subplots. Didactic speeches about the existence of God and the nature of man can be cut down substantially. The large cast still relies on double and triple casting of almost all of the actors, and the effect is confusing and overwhelming. Legion soars when it distances itself from the novel and finds its strength as an independent play. 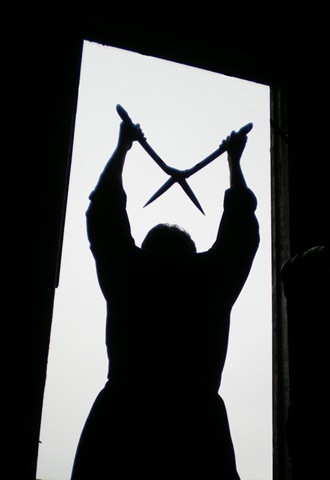 The best example of this is a comedia del arte inspired flashback to the childhood of the Gemini killer that is startling and extremely engaging. The glue that holds this entire production together is the fantastic original music by Scott Tallarida. The screeching strings are reminiscent of the score from the movie Psycho. The music is both terrorizing and humorous, to a very entertaining end. 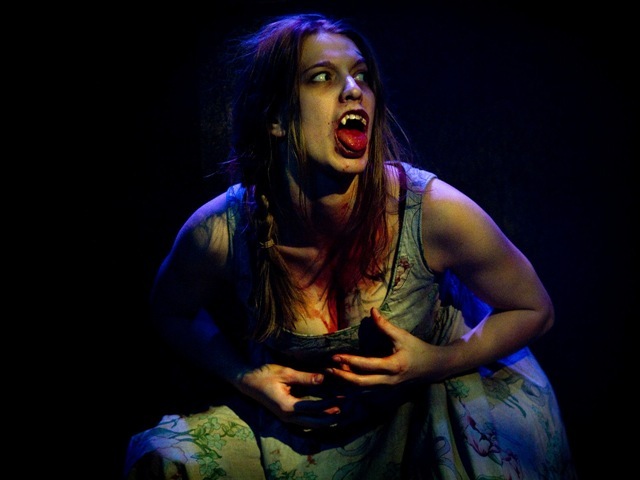 Director Anne Adams has made a creepy play. Her instincts about when to be campy and when to be down to earth are dead on. 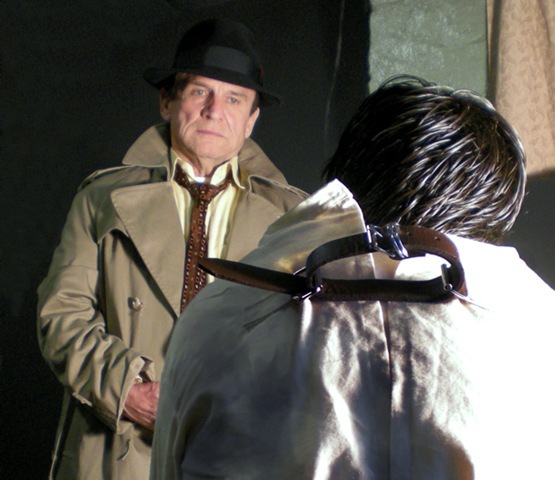 The staging of some of the larger group scenes are usually clean and precise, although some staging drifts into clutterdom. Not to give anything away, but Cheryl Roy is fantastically creepy in the ensemble and Scott T. Barsotti gives a performance that will make one jump in one’s seat – perhaps to one’s embarrassment. Legion is a play that lives in the dark and the light: it’s political and scary and light and cinematic all at the same time. 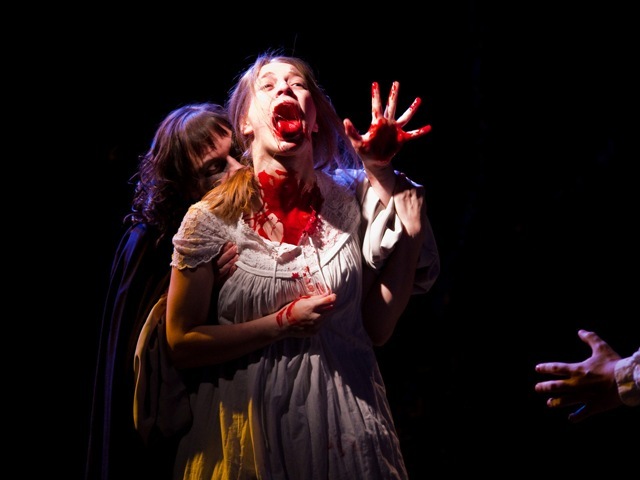 It’s unafraid to push the limits of on-stage horror to the maximum. 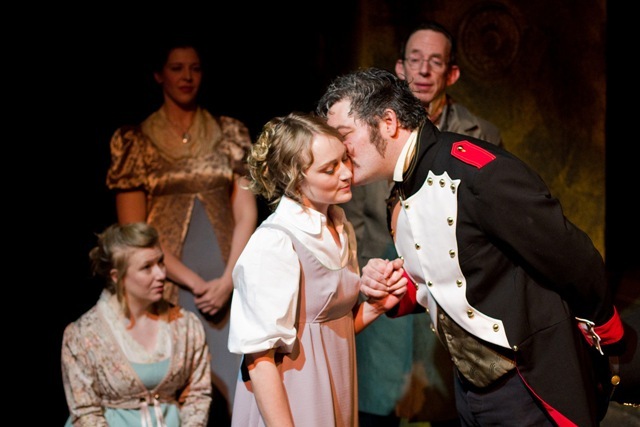 While not a perfect production, this play hits all the right marks for a fun night out.